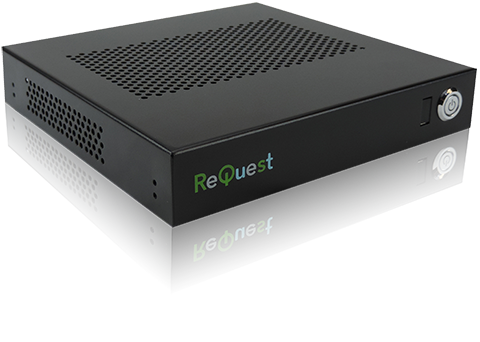 The new ReQuest MediaPlayer Mini (MP Plus), is the fastest, easiest way to bring ReQuest into all the other rooms of your home. Let the MediaPlayer Plus do the heavy lifting, but MediaPlayer Mini allows you to unlock the exact same library of music and movies on any other TV in the house with a smaller form factor and a whisper quiet chassis. Your ReQuest music collection is right there. Weather, Stocks, Webcams, your photos and slideshows (legacy UI required) ... nothing is left behind. Up to 4 MediaPlayers (15 when coupled with an approved NAS) can be connected through your home network to your ReQuest system, delivering HD video to your television in 1080p via HDMI outputs.